Historically, access to education for Afghan girls has been extremely low. In Pakistan alone, the primary school enrollment rate for refugee girls is only 18 percent compared to 39 percent for boys. Among Afghan refugees, sociocultural traditions demand that adolescent girls can only be taught by women, but there are very few female teachers. Gulsoom beat the odds. 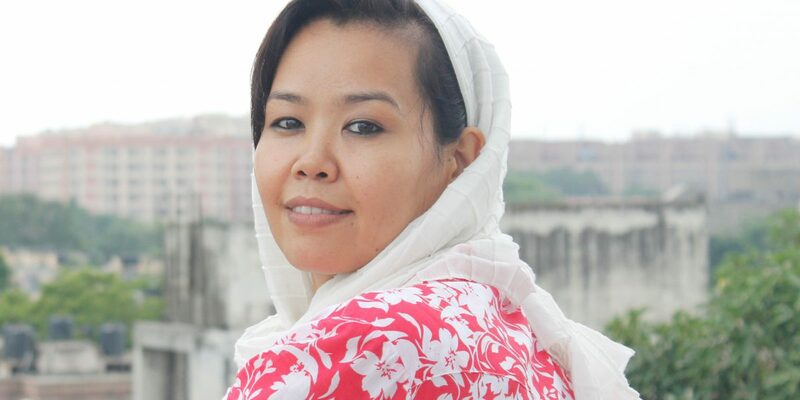 In 1998, she was an 11-year-old girl who had recently returned to Herat, Afghanistan after spending seven years in Iran as a refugee with her family. Suddenly, the Taliban took control of the government and started ruling the country. Formal schools were closed to girls, but her parents found a neighbor who was holding classes in her home. Soon, it became too dangerous to leave home, so Gulsoom began to study at home, without a teacher. She read voraciously and began sharing stories to her little sisters and other children. Gulsoom’s experience teaching girls under the Taliban regime made her want to be a teacher. To pursue this dream she knew she had to continue her studies at university level. Even though her father didn’t approve, she decided to apply to the University of Herat.